Healing Self. Healing Earth. Thank you for writing from your heart in Healing Self, Healing Earth. I have read your book five times as sort of a devotional and can say it has truly blessed me and guided me through HUGE emotional and spiritual growth over the past year. There are so many nuggets of truth and practical wisdom to take into each day as we endure struggles during the journey! Essential and practical guideline for being human during these magnificent and evolutionary times on planet Earth. Stories,tips for breathing, meditation, focusing, grounding, yoga, caring for the body, balancing and integrating emotions, forgiveness, taking responsibility, incorporating Native wisdom,and much more. Learn how to prepare yourself for the Earth changes ahead, and help move humanity into a whole new realm in 2012 and beyond. Clear and concise. $12.95. Healing Self. 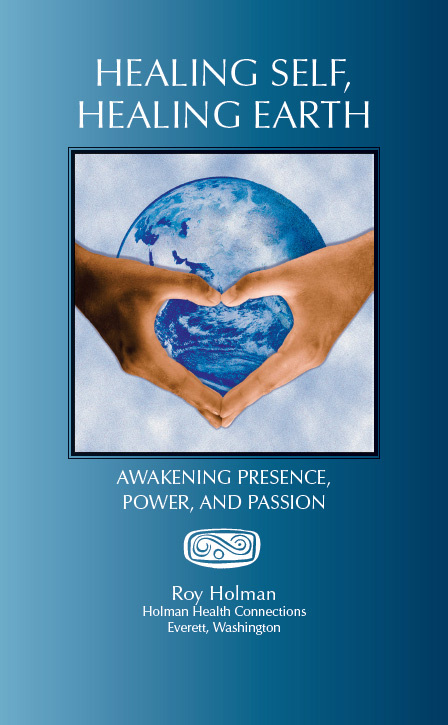 Healing Earth: Let Roy’s words and practices water the seed of Awakening in you, and then watch with amazement as transformation happens. This book is a gift, and a contribution toward our collective opening to the One Self. Note: This book works great in a weekly book study or discussion group, with 60 short chapters–easily readable in group–with practice points and a meditation at the end of each chapter. Read chapter-by-chapter synopsis. PayPal: make a secure payment online (click “add to cart” button). 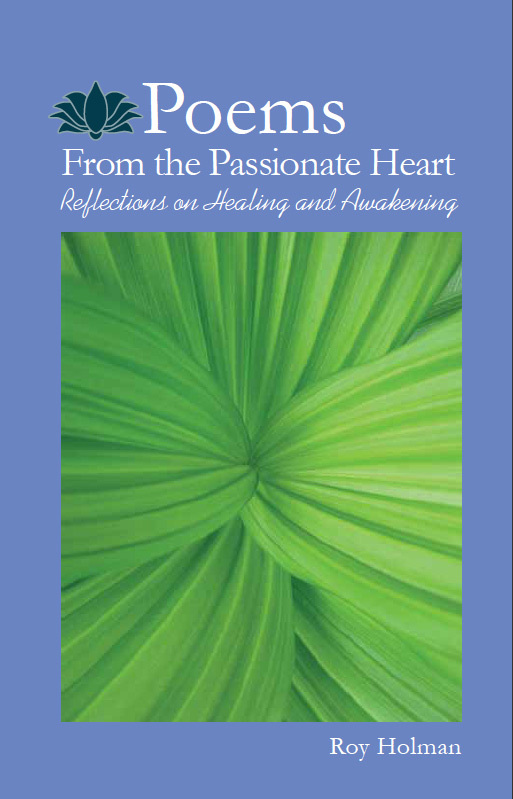 Poems from the Passionate Heart: Powerful and poignant. Roy Holman’s incredible skill with the written word when defining emotions is only exceeded by the bravery needed to share. Awaken your Heart and Soul. This collection is an open-hearted account of Roy’s passion, pain, inner journey, healing and awakening over the past 20 years. Through his courageous vulnerability, he shows the challenge yet reward of walking into one’s shadows, facing one’s demons, and transforming and awakening one’s deepest and most joyful, powerful self. This book will help you feel and heal your own pain, anger, fear and shame, and know that you are never alone! Healing, awakening, emotions, joy, depression, eating issues, presence, power, letting go, love, relationship, gratitude, nature, soul callings, sacred activism, Earth shifts …. The one who sits with fear – is unafraid. The presence with pain – does not suffer. The awareness of depression – cannot be repressed. The observer of insanity – is not crazed. The witness of anger – holds no bitterness. The silence surrounding confusion – is quietly clear. The light within the dark – sees. The love that lives in the heart of hate – heals. Meditation CD: I have used more than ten different guided meditation CDs and Roy”s is by far the best, very soothing voice.